As with many affected regions, during the hours before Yolanda reached Sebaste, Antique, the weather was surprisingly calm and clear. At the local municipal hall, roof, ceilings and windows were extensively damaged. In the immediate aftermath, despite seeing client files, computers and office equipment destroyed, staff were tasked with continued efforts to provide basic post-disaster services. Yet since then, as Vice Mayor Noracil B. Azucena explains, the municipal hall has had a total make-over. “Our clients commend our new municipal building. People here were surprised and delighted to see the improvement in our municipal hall. It’s very unique and more beautiful,” the Vice Mayor adds. With a spacious ground floor area, municipal employees can now provide a more comfortable space for visitors. Others described how having a more presentable office gives them greater confidence at work, and how employees, especially those in the Treasurer and Accessor’s office, need no longer work in overcrowded spaces. 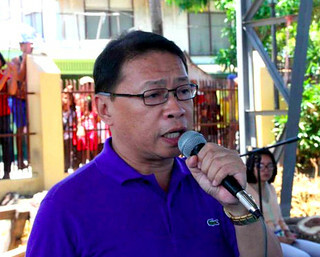 “Now it seems like I am working in Malacañang… The Malacañang of Antique,” Leonaris says, cheerfully. Along with its destruction, Yolanda also brought with it great change to the municipality of San Remigio, Antique. 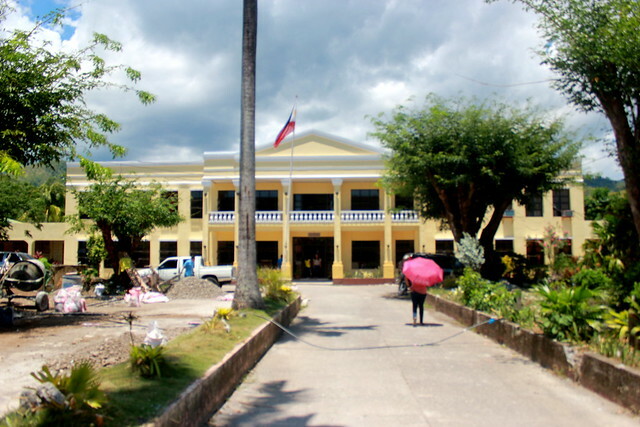 While the local civic center – partially-damaged by Super Typhoon Yolanda – remains standing, it no longer serves as the town’s main municipal facility. 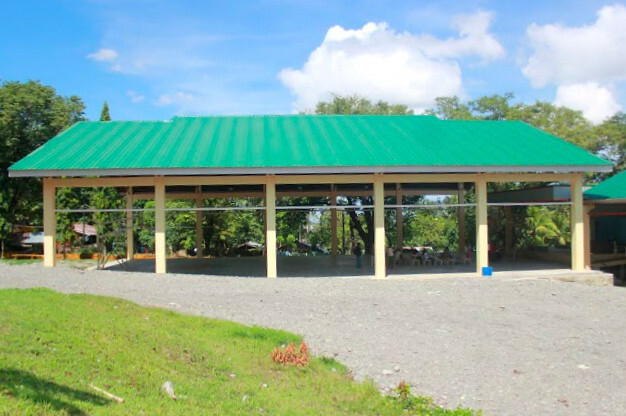 With the support of RAY DILG funds, and with disaster resilience in mind, local officials instead constructed a new municipal facility in a safer land area. 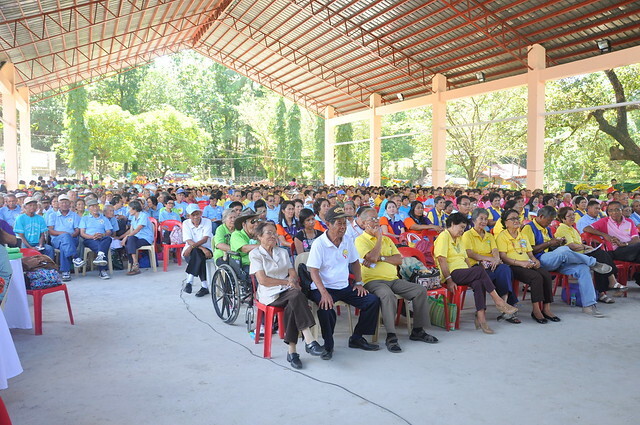 Last October 2014, the newly completed venue played host a Provincial Senior Citizen’s Congress for the entire province. 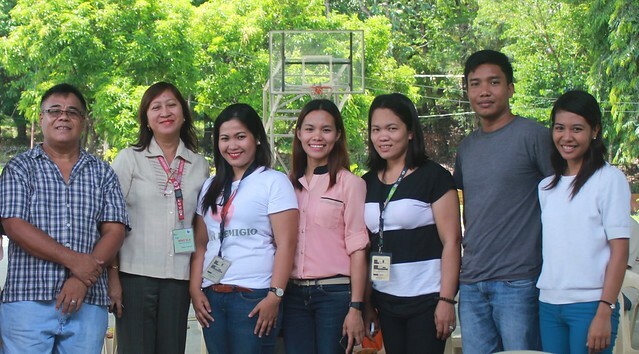 Noli Valenzuela, project development officer with DSWD, with friends at the newly-rehabilitated San Remegio Civic Center – August 2015. Schools, citizens and other government agencies have also benefited from the new and expansive space. “Our central school doesn’t have a gym, so all of our school activities – such as graduation and division wide contests, like the Children’s Congress – are usually held in the civic center, where there is space for all participants,” Noli says. 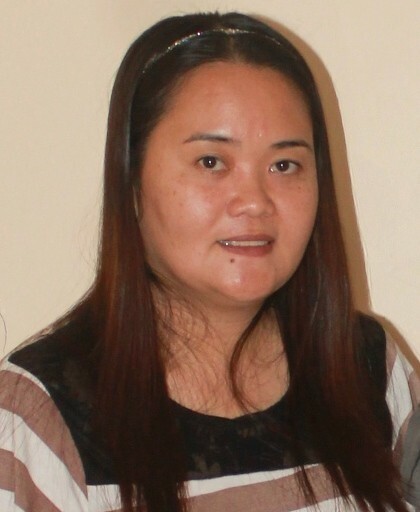 “The civic center is really essential and significant to each and every one of us here in San Remegio. We use it for all our activities – sports, cultural, academic, social, name it. It is where we gather, and feel like a one big happy family,” he added. In a word, Mayor Bernard N. Pescayo summed up the experience of Super Typhoon Yolanda in his municipality of Bugasong, Antique. Despite widespread damage, “we were still lucky,” he said. “Our municipal hall, market and civic center were not totally damaged, despite this being the strongest typhoon we have experienced.” In each of the buildings, most of the roofs, gutters, steel trusses and beams were destroyed, each victims of Yolanda’s gale-force winds. 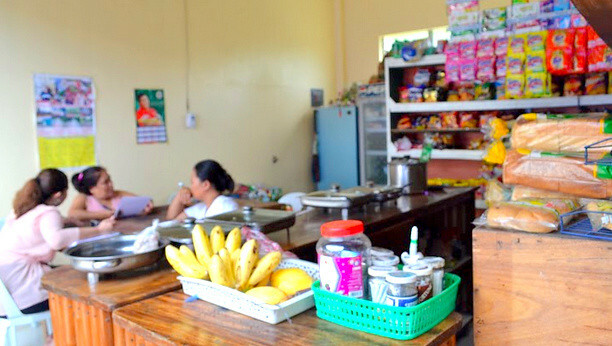 At the municipal hall, despite the tough conditions, employees continued in their efforts to provide local citizens with access to basic government services. As RAY DILG funds arrived, “we were able to rehabilitate the market, civic center and most especially our municipal hall, which received the biggest allocation,” Mayor Bernard says. “The employees are now feel safe and at ease when it rains. Even when strong rains will occur at night time, they don’t need to worry about their documents and office equipment inside the building,” he says. 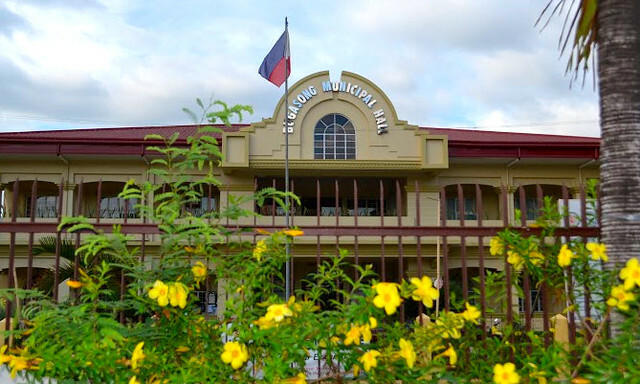 The newly-rehabilitated Bugasong Municipal Hall. In Barbaza, Antique, both the local municipal hall and the public market suffered extensive damage during typhoon Yolanda. Yet few would have imagined the benefits afforded by continued RAY DILG-funded rehabilitation efforts. “There was significant damage to the Department of Social Welfare and Development (DSWD) office at the second floor of the municipal building,” Sally Balgos explains. Since then, the DSWD has transferred to a new office that is far more tailored to the ongoing needs of their clients. They can now enjoy greater privacy, and conduct closed-door counseling sessions. Nearby, at the local public market, rehabilitation efforts have also improved conditions. Jonita C. Bautista, a local vendor, shared that the old market was smaller and made of light materials: and as a result, was more vulnerable to weather conditions. The ‘new’ market has since been reinforced with concrete, making it sturdier and safer. It is more spacious, and roll-up doors make it easy for the vendors to close their stalls at night. 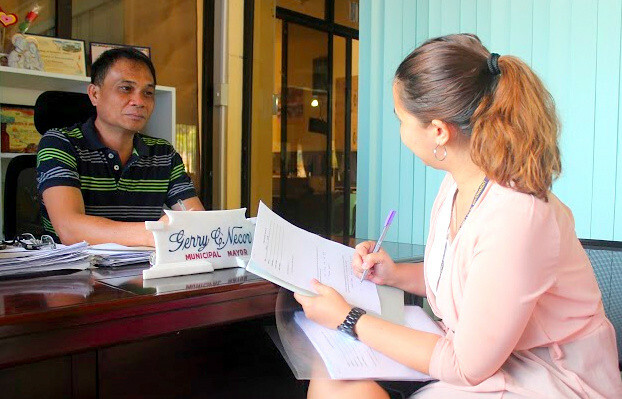 “The RAY fund from DILG was the first and largest amount of money our municipality received for the rehabilitation projects after Typhoon Yolanda,” Mayor Gerry Necor says. “Through these projects, the people regained their trust and confidence on the local and national government. It was an indication for them that the government works hand in hand with them towards recovery and normalcy,” he adds.